Originally from Ottawa, Olivia Blander* completed her Masters of Music Degree at Yale University in the studio of professor Aldo Parisot. She received her Bachelor’s of Music Degree from the Harid Conservatory (Boca Raton, Florida) where she studied with Canadian cellist Johanne Perron. Olivia has appeared frequently as a soloist and chamber musician on CBC radio, including the nationally broadcast “Debut Series”. She has been a participant in several major summer festivals including classes at the Banff Centre for the Arts, and the fellowship program of the Tanglewood Music Centre. 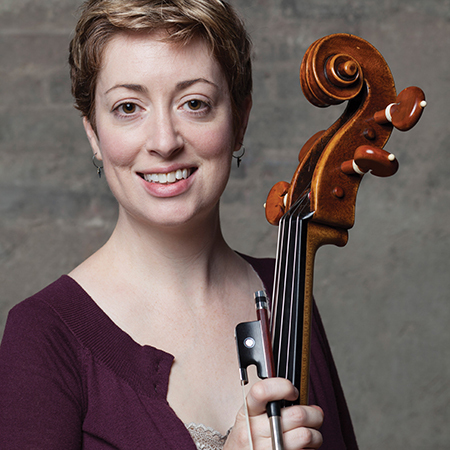 After returning to Ottawa from the U.S. in 2000, Olivia enjoyed four months working with the Thunder Bay Symphony Orchestra, and joined the Vancouver Symphony in September 2001.